More than half of West Midlanders have no saving or investment plans in place for their retirement - more than any other UK region - according to startling new research. The findings from the new study say 55.6 per cent of those surveyed in the region currently have no nest egg for their later years. Individual Savings Accounts (ISAs) are the most popular vehicle for retirement planning among West Midlands people (17 per cent) followed by property (15.9 per cent), shares (9.5 per cent), stocks (7.9 per cent) and jewellery (7.1 per cent). The research was conducted by Birmingham-based property developer SevenCapital in conjunction with Censuswide and asked 1,200 people aged 16 or over what they invested in and why. It also looked at whether they would consider property as an investment vehicle and, if money was no issue, what would they choose to invest in. Conclusions drawn from the research suggest too many people are simply not saving enough when set against the amount needed to allow for a comfortable retirement. Property is deemed the most popular investment in terms of what people want to put their savings into. This is down to several factors, including it being a &apos;tangible&apos; asset whose value can be increased greatly by the owners themselves through home improvement work, enabling them to benefit from their efforts. It is also unlikely to be taken away by outside parties and will benefit from capital growth over time. Property can provide a great rental income after covering mortgage payments and other charges and even more so once the asset is owned entirely by an investor. More findings of the survey can be seen in the graphics (above and below) but some of the other key results show that, nationally, 41.3 per cent of people have no investments and the most popular form of savings is also ISAs (21.3 per cent). A total 19.3 per cent of people nationally invest in property and 7.7 per cent in gold. If money were no object, the first thing West Midlanders would invest in is property (36.5 per cent), followed by land (22.2 per cent) and gold (16.7 per cent). Saving for retirement has been at the top of the news and political agenda for years now. As more employers scrap final salary pension schemes and the cost of living continually rises, the emphasis is falling increasingly on the individual to prepare for the later years. Andy Foote, director at SevenCapital, said: "The new state pension of £168 per week is simply not enough to live off if you rely solely on that. "To raise awareness of these issues, SevenCapital is launching its campaign &apos;Time to Invest&apos; - to look at retirement planning more broadly and encourage you to consider the other means at your disposal to save for some happy and worry-free years when you give up work. "Investing in property is rightly at the top of the list as something you should be considering for your investment portfolios. "While no investment is 100 per cent safe, property should be seen as a marathon not a sprint and, despite the initial high costs like deposits and fees, the rewards can prove to be very lucrative." 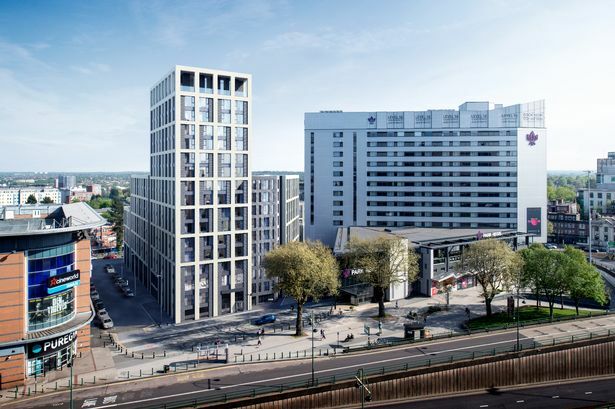 To find out more about ways you can invest for your future, visit www.sevencapital.com and learn about the property project the developer is bringing to Birmingham.